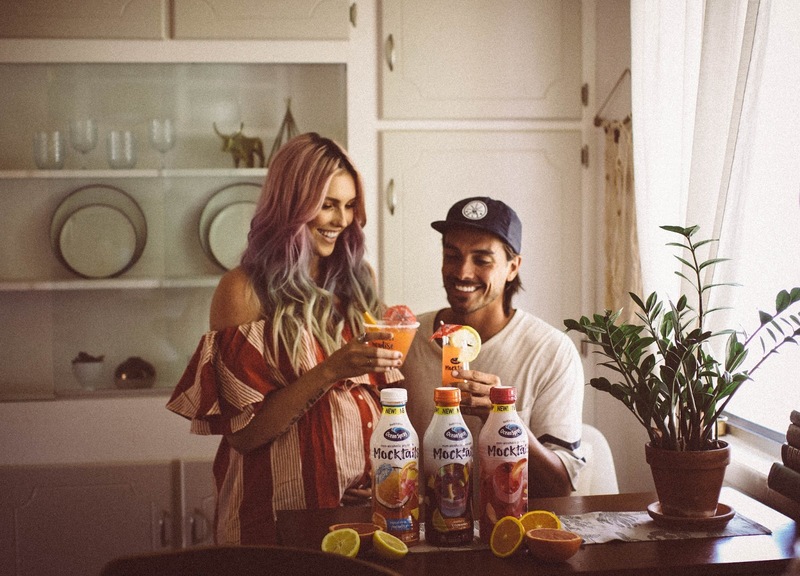 I think one thing that both me and the hubby can 'cheers' to are Ocean Spray's new Mocktails! 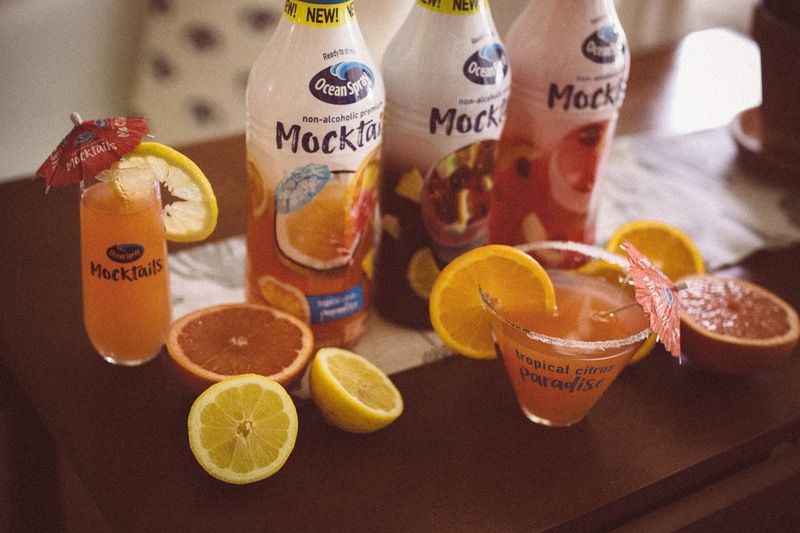 Ocean Spray® Mocktails are delicious premium non-alcoholic juice drinks inspired by your favorite cocktails. 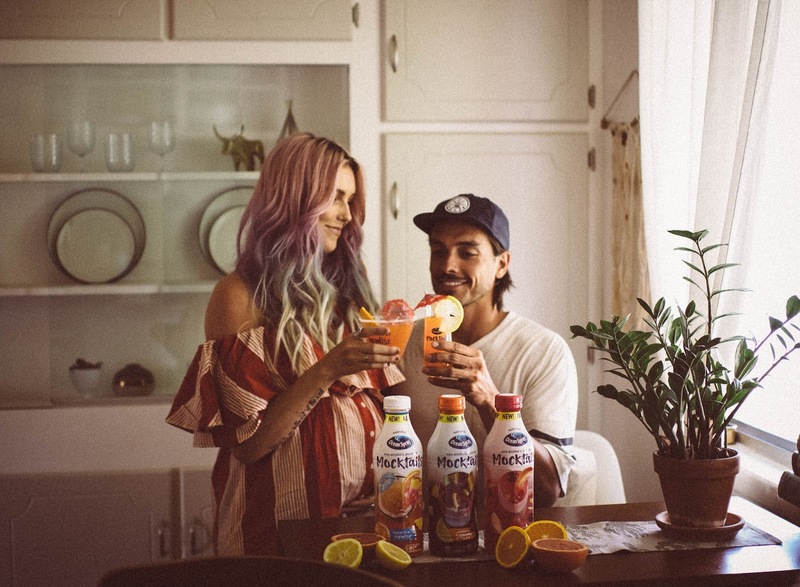 They’ve created a sophisticated line of beverages that are perfect to enjoy straight from the bottle or mixed with sparkling water, wine or liquor. 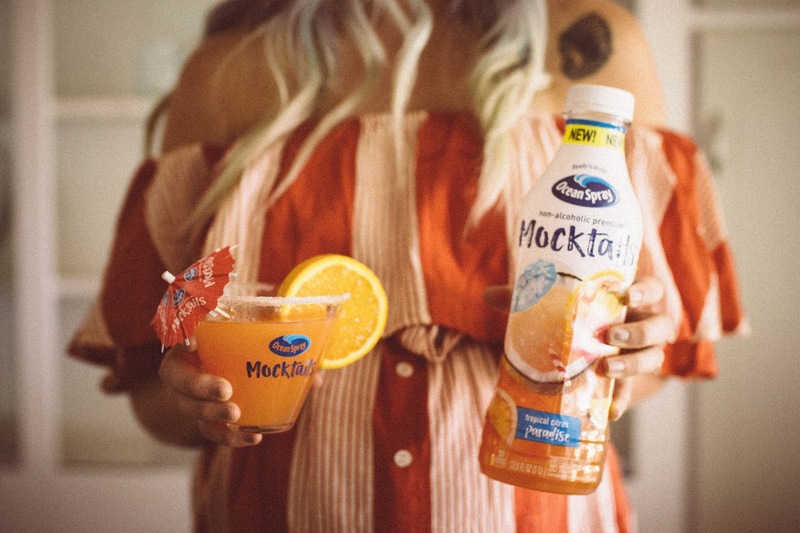 Ocean Spray® Mocktails are made with real fruit juice and no preservatives or high fructose corn syrup! They are only 90 calories per serving, no artificial colors or flavors, they have 3 delicious flavors, and they're totally family friendly! I love to create fun drinks to have along side a yummy dinner and these have been perfect for my pregnancy. 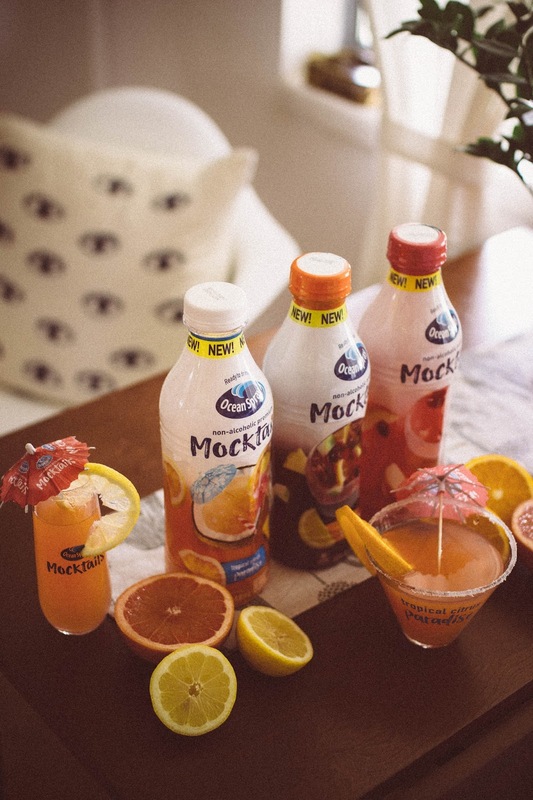 I particularly like to enjoy these Mocktails with sparkling water to add a few bubbles and I love to top the rim with Agave and Coconut Sugar and adorn them with some of my favorite citrus. You really can't go wrong with these! 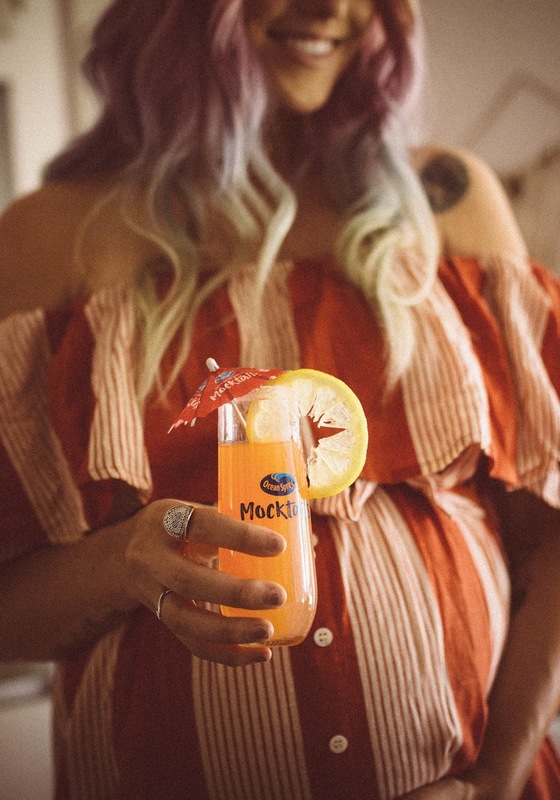 What are some of your favorite pregnancy drinks? Let me know! We are officially 30 days away (or sooner - or later) from meeting baby Kaiser! I can't believe it. I already feel myself mourning the day when I can't feel her hiccups or her little kicks and movements. But what's better than that will definitely be having her here with us in our arms and getting to know our sweet little Cancer baby. Cheers to enjoying these last 30 days! *Thank you Ocean Spray for sponsoring this post.